WestJet is showing some great prices from Vancouver to London, Ontario in August and September 2016 for $322 CAD roundtrip including taxes. It's very rare to see great deals on flights within Canada, especially in August. The WestJet flights have sold out. 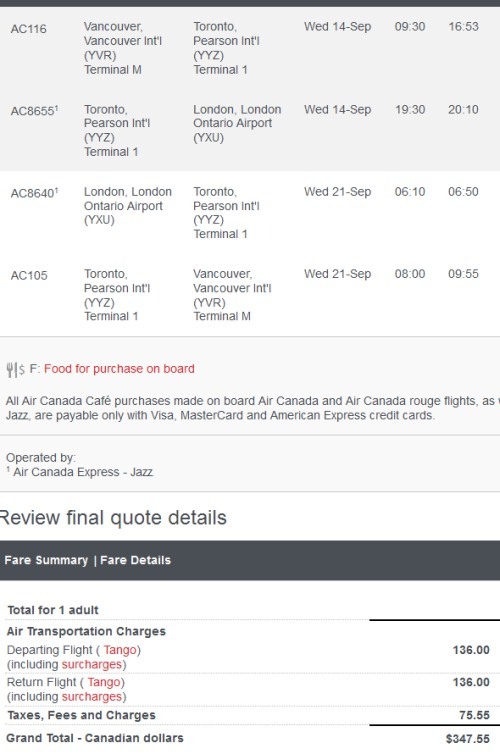 Air Canada has dropped the price of their Vancouver - London, Ontario flights down to $347 CAD roundtrip including taxes. vancouver, yvr, flight deals, westjet, london, ontario, canada, north america and yxu.